Car crime could rise as economy bites | What Car? Motorists might need to brace themselves for increases in car crime, according to one leading insurer. The difficult economic climate could lead to increases in vehicle crime (theft of cars and theft from cars), just like those that followed the UK's recession in the early 1990s, said Dane Loosley of Allianz Cornhill at the British Insurance Car Security Awards today. 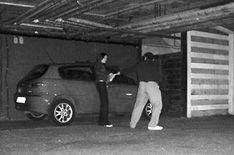 Car crime hit a huge peak in 1995, with nearly 4.5 million incidents compared with less than 1.7 million in 2006/2007. This 62% drop in numbers is often hailed as evidence of huge success in combating car crime, but compared with figures from 1981, when data was first collected in the British Crime Survey, 2006/2007 figures are only 3.5% down. However, considering the number of cars on UK roads has nearly doubled over the same period - from 15 million to 28 million - the work done by manufacturers to improve car security may have held back a huge tide of crime.